This article was supposed to be all about the pillars of fitness — What your workout needs to entail to improve every fitness area. Think cardio, strength, mobility, balance, and even mental health, etc. What are these elements and how do you incorporate them into your workout regiment? How can you tell if you’re out of balance in one of these areas? (For instance, men are stereotypically lacking in the flexibility department and women tend to skip strength). Or there a certain level of shape is required for fitness professionals due to the influence and pressures of social media. A lot of people don’t know I’ve struggled with my own bodyweight & eating issues (more so in the last few years after getting into competing). If you watch my YouTube video on “Eating disorders in the Irish fitness industry” you’ll get a more in-depth insight into exactly what was going on with me & my food habits and hopefully give you some help or a bit of courage to spur you to seek help should you need it. I spent years going up & down in weight & struggling with food issues. I was no longer my confident self & was beginning to doubt if my personal training clients trusted me because of my shape. I needed to get motivated in order to inspire others to do the same, so I really looked inward and found it in me to pull myself back from probably the worst shape in my life. I was looking for the magic pill that was going to solve all my problems and get me into incredible shape. I can now guide people away from that place and encourage them to see the potential in themselves. One of the best pieces of feedback I get from my clients is that I’m able to relate to them & know how it feels to be in the start position. I know what it feels like to sit in their chair, I know what it feels like to not feel happy in your clothes every day, not to feel confident, to be frustrated time & time again after starting on a Monday & messing it all up on Friday-Sunday… I know… I’ve done it! Not how ripped can you get or how shredded can you look or how much weight you lose. What is ultimately going to make them a happier person inside & out. Ultimately make the biggest impact on their life be it at home, work, family or when they look in the mirror! I think sometimes we focus on where & what we’re aiming for we forget how far we’ve come. Which is what I aim to get my clients to try and see. Focusing on all of the positives they’re doing in their fitness journeys rather than the one or two minuscule hiccups along the way. Consistency – Is King! 9 times out of 10 when I see people start on their journey to get fit and healthy, they go in with the “all or nothing” mentality. I often see mistakes including believing that stricter and faster is always better and caring only about the outcome of weight loss rather than a process of actually building a healthier lifestyle. More often than not this becomes an unsustainable process and people end up in a yo-yo training cycle therefor end up quitting. So my advice here is to start slow, take your time. Learn to enjoy training Vs it being an arduous chore needing to be done. Behaviours – Focus on sustainable behavior changes over time. This will not only help you feel like you’ve less pressure to get an end result but to create long-lasting change. Striving to adopt exercise behaviors you can practice day in and day out, NOT what you can only do for a very short length of time before you end up hating it and stopping. The gym DOES NOT have to be smashed every single day. Build your fitness and training up over time, then when you’re comfortable push for an extra day here and there. Support – NOT hiring a trainer is one of the biggest mistakes I see people making. Usually, I see people walking into a gym and having a go at pretty much anything without any guidance or heading into the gym with a friend who has been in the gym but doesn’t really know too much about technique or form. It would be like me walking into a car garage and trying to fix my car myself if it were broken. I’ve no clue what I’m at so therefore I hire a mechanic who will do the job for me. Hire a trainer if you feel you need one. I know a trainer can be an expense some may not be able for BUT if you are in a position to do so I would urge you to do it. A trainer is there to help, support and teach you how to live a better lifestyle with changes to your exercise and eating habits. Enjoy what you do – If you’re doing a spin class or boot camp class because you enjoy it, by all means, crack on with it. Enjoying what you do in the gym is an absolute game changer. 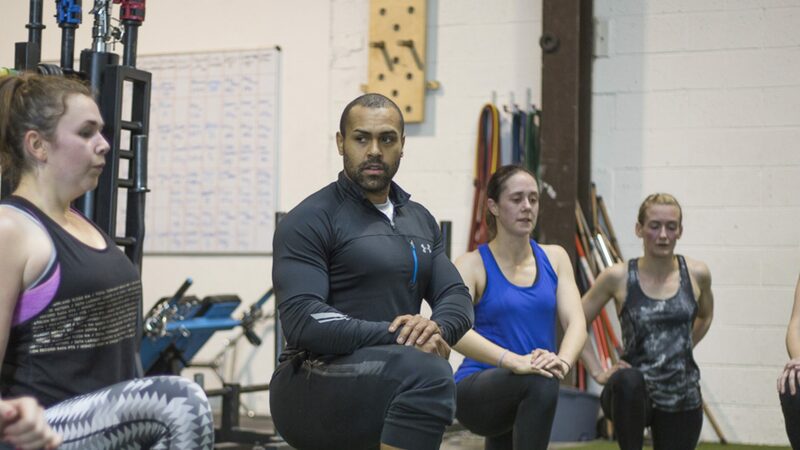 If you look forward to your workouts, you are FAR more likely to keep it up over the long haul. As the saying goes here in Ireland “There are a million ways to skin a cat” and that stands for exercise/training too. There are so many ways to get fitter and stay healthier so what I would encourage you guys to do is find out what you enjoy, find out what suits your comfort level or your fitness level and roll with it. Trust me when I say if you can’t see yourself doing it in 6-12 months, you more than likely won’t be so like I’ve said previously…. Find something you enjoy and smash it. I really hope you guys enjoyed this article. 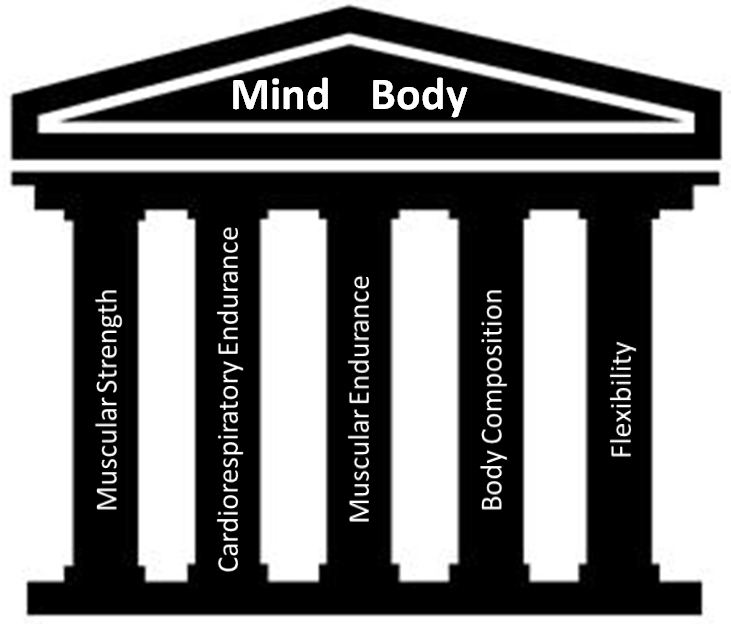 It was a slightly different angle of the “pillars of fitness” than you might’ve expected. Please feel free to reach out to me across any of my social media channels which I’ll link below. Thank you so much for taking the time to read. ⟵10 things everyone should know about nutrition!